Linda, her husband Mark and their four children transferred to Eastern NC in 2000. They choose to live in Oriental, NC because of the small town atmosphere, extensive recreational water activities and the diversity of the art and music community. A perfect place to raise their young family. 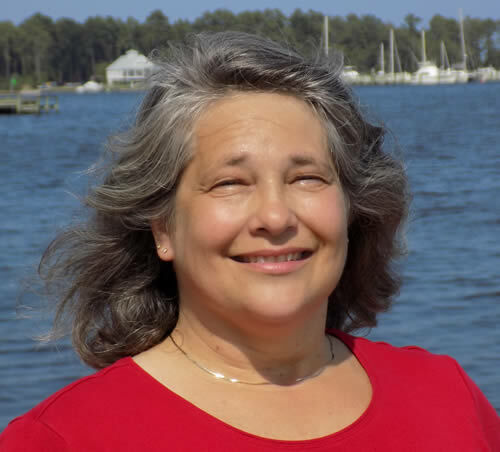 While living in Oriental, Linda has become involved in all aspects of Pamlico County as well as gained extensive knowledge of the schools through substitution teaching. As Linda sent her youngest to NC State, she has welcomed in this new chapter of life by going back to school and becoming a Real Estate Broker. A goal she has had for many years! Her vast knowledge of Pamlico County along with prior work experience as a settlement clerk and secondary market specialist with a mortgage company, make Real Estate is a perfect career choice! Linda’s knowledge, experience and work ethic can help to make buying and selling property a smooth process.